The figure was released at the 26th conference of the Executive Committee of the municipal Party Organisation on March 30. 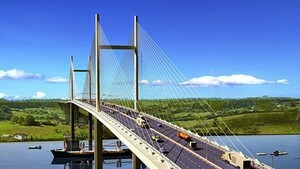 Vice Chairman of the HCM City People’s Committee Le Thanh Liem said during the first three months of 2019, the service sector’s proportion in the local economy has continued to increase, trading activities have kept developing, and agricultural production remains stable while the industrial production index has posted faster growth than a year earlier. Additionally, trade and tourism promotion has been enhanced and resulted in positive outcomes, helping local businesses expand their markets and attracting more foreign investment to the city, he said. 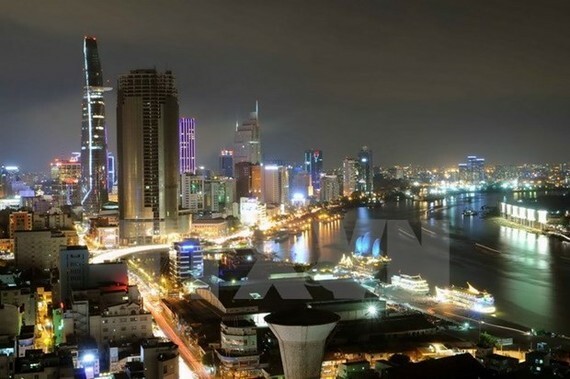 However, there remain numerous difficulties and challenges facing HCM City, Liem noted, elaborating that the service sector, exports and imports recorded lower growth rates compared to the same period last year. Meanwhile, site clearance for some public investment projects is still sluggish, food safety ensuring at small-scale production and business establishments hasn’t received due attention, and the crime situation, especially drug crime, remains complex, the vice chairman added. At the session, Politburo member and Secretary of the municipal Party Committee Nguyen Thien Nhan recognised efforts by departments, sectors and districts of the city to fulfill development tasks in the first quarter of this year. He said the local economic growth is “relatively all right” in general, but the city has yet to feel completely secure about sectors when they stand separately. Specifying some key solutions, officials at the event said HCM City should push on with implementing the National Assembly’s Resolution 54 on piloting special mechanisms and policies to speed up the city’s development , make breakthroughs in administrative reforms, and boost IT application to provide smart city services for residents and businesses. It also needs to improve its indexes of public administrative reform, provincial competitiveness, and provincial governance and public administration performance; promote its economic competitiveness; as well as strengthen defence, security and social order and safety, they added.